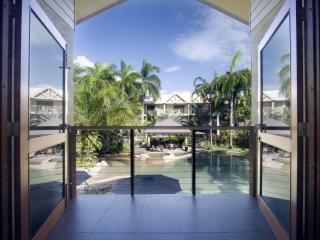 A tropical holiday oasis in the heart of the village, Port Douglas Retreat offers stylish accommodation surrounded by the region's famous boutique shopping, local markets, contemporary bars, gourmet cafes and fine dining restaurants with easy access to natural attractions including the Daintree rainforest, Great Barrier Reef and a little closer to home, 4 Mile Beach. 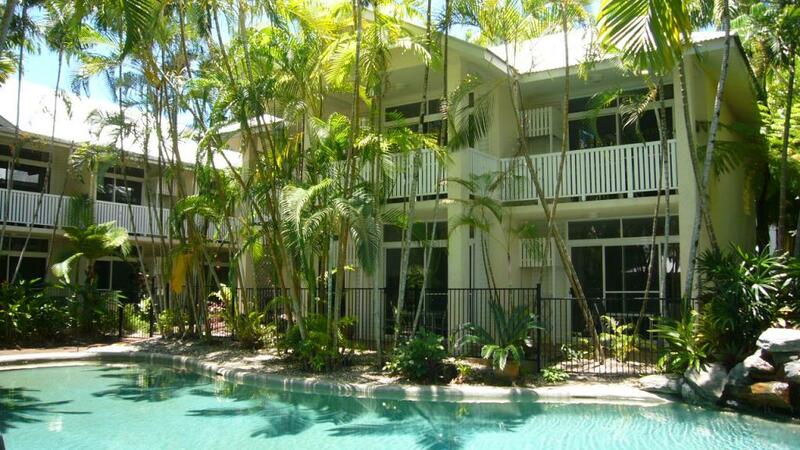 Accommodation at Port Douglas Retreat offers a modern range of self-catering Studio Apartments reminiscent of traditional Queensland architecture with timber finishes, air conditioning, kitchenette facilities and private courtyards or balconies with picturesque views of the trees or pool. 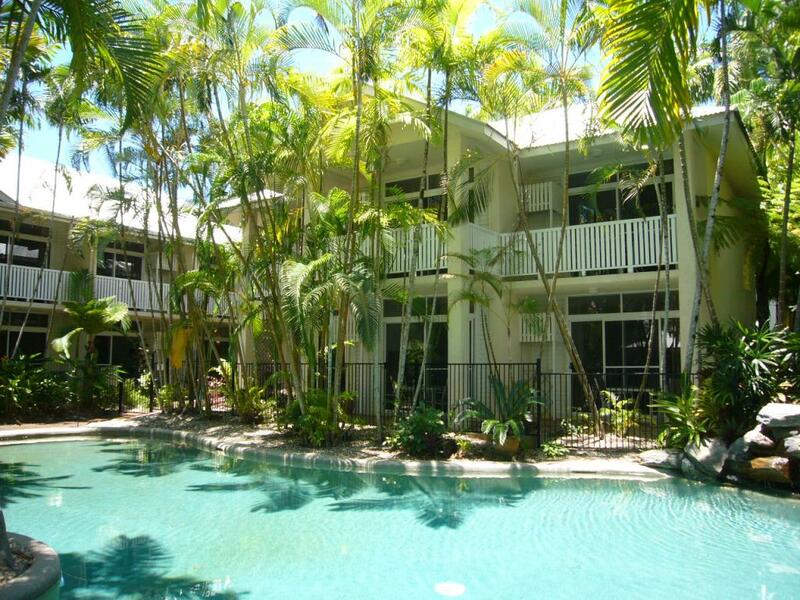 Port Douglas Retreat also enjoys an excellent range of onsite leisure facilities including a large outdoor saltwater swimming pool surrounded by lush tropical gardens, an expansive sun deck, relaxing gazebos complete with BBQ facilities, laundry services, secure undercover parking and more. Accommodation at Port Douglas Retreat offers self-contained Studio Apartments featuring private courtyards or balconies. Tree View Studio Apartment: Featuring Kitchenette facilities. Size is 36m². Bedding is 1 King Bed OR 2 Single Beds. Maximum room capacity is 3 Adults & Children. Pool View Studio Apartment: Featuring Kitchenette facilities. Size is 36m². Bedding is 1 King Bed OR 2 Single Beds. Maximum room capacity is 3 Adults & Children. Accommodation at Port Douglas Retreat offers self-catering kitchenette facilities including stove cook top and microwave, however there are also a wide range of award winning bars, cafes, restaurants and dining options within walking distance of the resort however reservations are advised during peak season to avoid disappointment. Ratings are averaged based on 5 reviews. presentation was good, but quickly let down. Old beds that slumped and random failed springs. Still have a aching back. No shampoo! Only soap, nice to find out after a day at the beach. Coffee and sugar for a day is all you get. Noisy air conditioning. High priced extras like towels, $80 room cleaning fee if you have stayed a few days and want your room fresher. Might as well book another room. Outside dusty paint and in need of tic. Sorry guys, I don't beat around the bush. Careful what you buy and spend when it's needed. Good, clean with all basic facilities. Nothing flash but clean, comfortable, quiet and good location 5 minutes walk from town centre. Excellent service from the staff. Easy to cook for yourself if you wish but great range of eating close by. Nice pool. Good strong wifi with a 1GB limit which was more than enough for our 3 nights. I'd go there again. 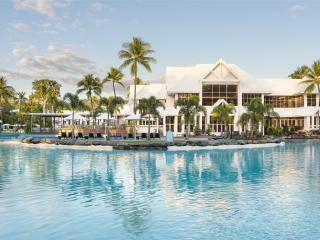 Lovely intro to Port Douglas life style. Lovely spot, excellent layout and only for adults made this a great choice for us. Room was good, view over pool area and setup was fine. No onsite food meant going out all the time, but BBQ was available to use. Room is not serviced during your stay which is a drawback for some visitors I am sure.